Apple announced that it would be releasing a public beta of iOS 9 some time in July, and with us now firmly within that timeframe all eyes are on Cupertino as people wait for the big switch to be flicked, enabling public beta testers to start their downloads. Hopefully, they won’t have to wait too much longer. While the wait is ongoing, it may be worth going through a few housekeeping steps before you start installing any iOS 9 betas, some to get ready for the update itself, some for in case things go awry and others for if you need to take action at a later date. So, with iOS 9 set to go into public beta sooner rather than later, let us see what you should be doing in order to be ready. This one might seem obvious, but it’s an easy step to miss during all the excitement. Head on over to our post that already details the sign-up process, and make sure you’re actually registered for the public iOS 9 beta to avoid disappointment when it finally does go live. 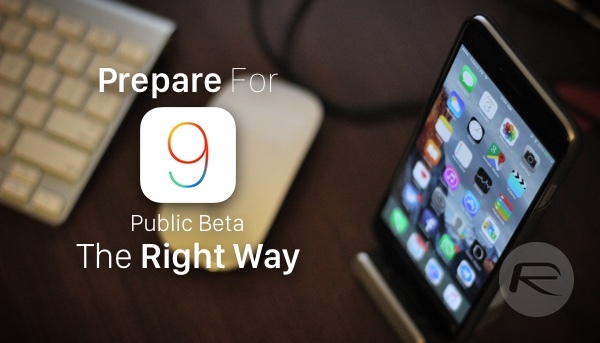 Full details can be found here: Sign Up For iOS 9 Public Beta Program Right Now, Here’s How. Make sure that any devices you are going to install the public beta on are nicely backed up, just in case. You can do that by either using iCloud on the device or iTunes on a computer. 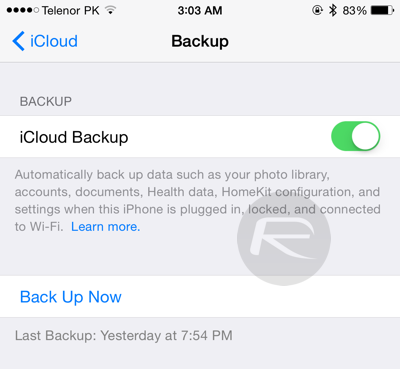 The iCloud way is easier and quicker as far as we are concerned, and you will find the option in Settings > iCloud > Backup. Over here make sure the ‘iCloud Backup’ toggle is turned on. Also hit the ‘Back Up Now’ button to get things into momentum right away. 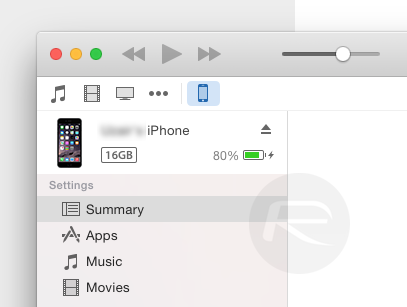 Alternatively, you can use iTunes to back up your iOS device as well. Step 1: Connect your device to your PC or Mac and launch iTunes. Step 2: Select your iOS device from the top left hand corner. Step 3: Under the ‘Backups’ section select ‘This Computer, and then click on the ‘Back Up Now’ button. It’s best to update to iOS 9 beta from the current shipping version of iOS, which right now is iOS 8.4 Download that and let your iPhone or iPad update accordingly. Direct download links for iOS 8.4 for iPhone, iPad and iPod touch can be found right here: Download iOS 8.4 Final IPSW Links For iPhone And iPad. They may not be of much use right now, but saving your SHSH blobs using an app like TinyUmbrella might not be a bad idea in case they become useful in the future for downgrading since iOS 8.4 is the latest jailbreakable firmware. If you are someone who don’t care about jailbreaks, you can skip this step. Sit back, relax, and wait for Apple to give everything the big thumbs up. If the second developer beta is anything to go by, the public beta will be surprisingly stable. Do you think the Public Beta is downloadable over the air? Directly from the Device? Are you sure there isn’t a difference between going from beta 1 to beta 2 and going from 8.4 to the Public Beta OTA? Wishing this beta would hurry up!! attiphoneunlocking. [com), they are still able to unlock any AT&T device. Appleberry is so expensive, everybody dont use it. I highly recommend just google atttiphoneuunlocking, it’s without a doubt a much better սոⅼοсking site, we are the quickest ՍΝᏞΟᏟΚing site I’ve ever use.